As the touchscreens on our consumer electronics become ever more complex, users of industrial and embedded devices are also coming to expect more sophisticated interfaces. Embedded and industrial devices today increasingly need full-colour touchscreens, or even multi-touch capability, to distinguish themselves in the marketplace. For designers new to touchscreen development, the wide variety of touchscreen modules available can be overwhelming. Let’s take a look at some key characteristics to consider when choosing a touchscreen module for your next embedded project. 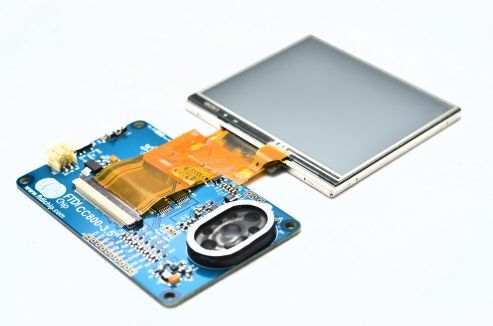 The LCD display is a critical component of any touchscreen and will normally have an RGB, CPU/MCU or LVDS interface. 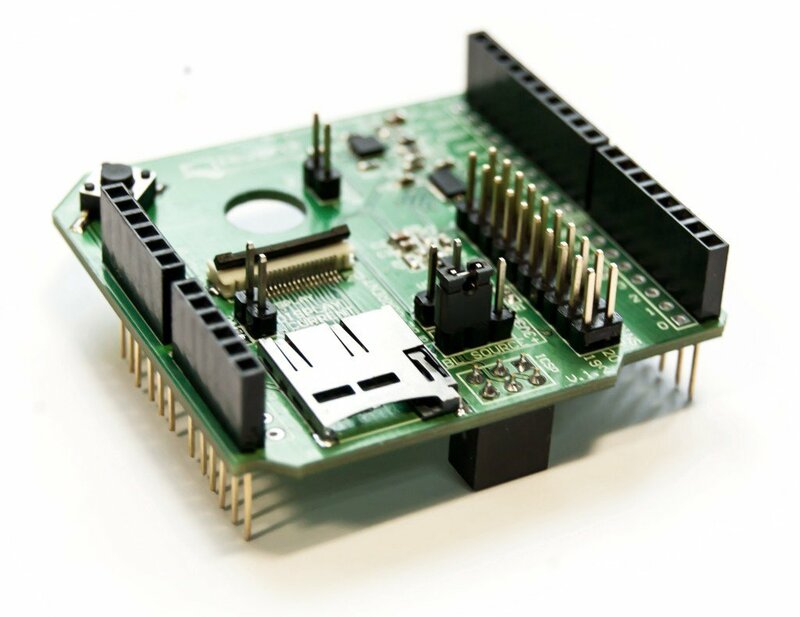 You can choose to interface your host processor with the touchscreen module directly, or alternatively, through a separate LCD controller using an SPI/QSPI interface. RGB interfaces are a parallel interface designed specifically for driving LCD displays. This interface provides sub-pixel RGB data (16, 18 or 24 bit) and timing signals. Because of its relatively straightforward nature, RGB is the most common interface for directly driving LCD displays. 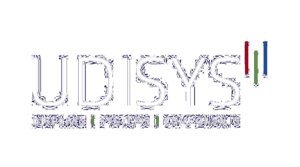 LVDS stands for Low Voltage Differential Signalling. Because of the differential signalling, this interface is less susceptible to EMI, allowing the display to be located further from the controller, and making it suitable for automotive and industrial environments. Pin counts are much lower than RGB, and power consumption is lower as well. For those new to Touchscreens and LCDs, the easiest way to interface an LCD display will be through an LCD controller like the FTDI FT8xx EVE product range. In this case the MCU uses a standard SPI interface to the LCD controller, which communicates with the LCD display over an RGB interface. An LCD controller offloads subpixel and timing signalling from the MCU making integrating an LCD much easier. Designers don’t need to allocate large amounts of memory for a frame buffer, or large numbers of GPIO pins for subpixel signalling. LCD controllers, like the FT8xx series on the Riverdi UXTouch panels, often also have image processing or graphics engine functionality built-in, allowing designers to easily implement sophisticated graphical effects and interfaces using a high level API. In the past, CCFL backlights were the norm, but as white LED technology has improved, LED backlights are now common in everything from smartphones to HDTVs. Compared to CCFLs, LEDs are not only smaller and lighter, but offer brighter light with less power consumption. For many embedded devices, the backlight dominates device power consumption, meaning LED-based displays can significantly improve battery life for many low power designs. LED backlights require an LED driver to provide the constant current they need to function efficiently. 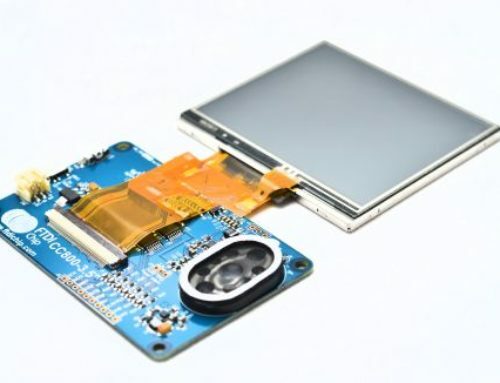 Designers new to LCD displays should pick a module with an integrated LED driver, which ensures the driver is already paired correctly to the backlight. Backlight brightness will affect both the device power consumption and outdoor readability. Devices designed for outdoor usage should specify a display with at least 500 nits. For indoor usage, 255 nits can be sufficient in dim environments, but 350 nits or more will provide high visibility across a variety of indoor lighting conditions. Touchscreens are generally implemented as a touch layer on top of the LCD screen, and can be largely divided into resistive and capacitive technologies. Resistive touchscreens have two transparent sheets covered with a conductive material (ITO.) The top layer is flexible, and when it is pushed and touches the bottom layer, there is conductance between the layers. The position of the conducted point is then detected by the touch controller. Resistive touch relies on a physical press, so water isn’t issue, and it detects gloved touches easily useful for industrial environments. It is low power consumption and cheap. Due to the nature of the product, it has the potential to degrade over time, and the plastic required for its flexible sheets is less optically clear than glass, making for a slightly dimmer screen compared to capacitive touch. Capacitive touchscreens most commonly refer today to projected capacitive touch. With this technology, a grid of X and Y electrodes is inlayed between two glass sheets and a voltage is applied to create an electric field. When a finger touches the screen, its conductance changes the electric field and its location can be detected. Capacitive touchscreens create better user experiences, boasting multi-point touch detection and ultra-high sensitivity that can detect light touches. Using glass as its transparent layer, it has superior optics. It is also highly durable and dust resistant. On the downside, wet environments can cause issues with touch sensitivity, making it unsuitable for some applications. Whereas capacitive screens dominate the consumer electronics sector, for industrial applications, both resistive and capacitive technologies are relevant and the choice of technology depends on the functionality, ruggedness, and cost requirements of the application. When it comes to touchscreen technology, the range of options can be overwhelming at first, but understanding your design requirements can narrow down the choices considerably. Figure 2: Arduino shields are available for Riverdi display modules with integrated controllers making it easy to experiment with touchscreen development. For those new to touchscreen integration, the fastest and easiest road to implementation will be with a fully integrated touchscreen module such as the Riverdi uxTouch modules. These feature an LCD display with touch overlay, LCD controller and touch controller integrated, making implementing a touchscreen a snap.